I’m introducing a different segment of posts – inspiration. Interesting stuff sparking my imagination. A central theme of my writing is how we humans are adapting to our changing world. Whether we like it or not, we are animals, but we are living in an alien world of the built environment. A world changing so fast, can we keep up? 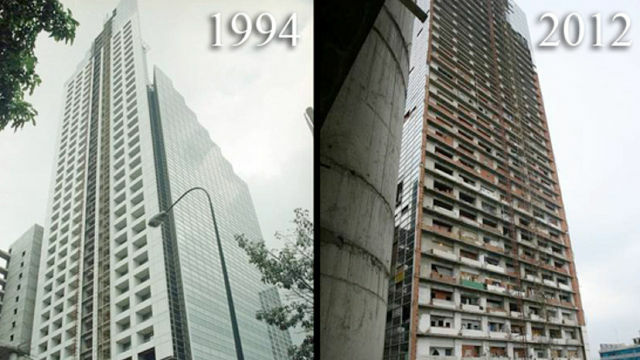 I came across the story of the Tower of David (Centro Financiero Confinanzas) in Caracas, Venezuela, a half-finished abandoned skyscraper taken over by squatters. The squatters building their own homes with bricks, bringing in electricity, setting up businesses and growing a community. It appeared in an episode of the TV show Homeland. 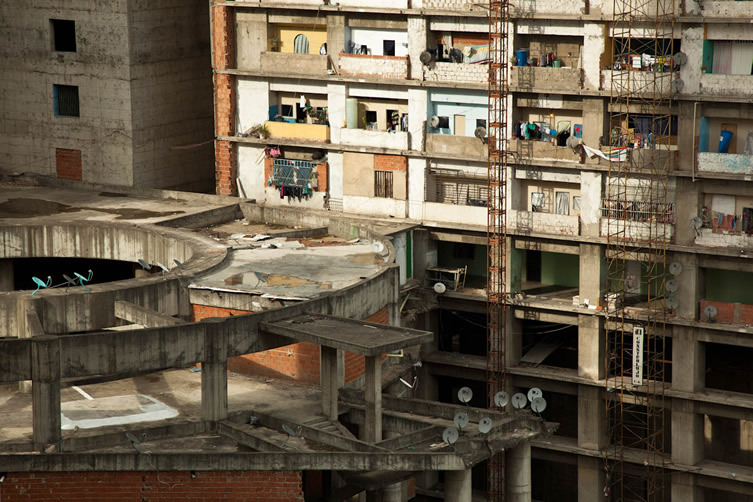 Known as the tallest slum in the world, the government moved the squatters out in July 2014 into new homes as part of their rehousing scheme. I am interested in the way people scrape together shelter in a modern built environment, exactly as if they were living in nature, building a home out of whatever they can find. These skills still exist in the modern world. The Tower of David is an interesting example of people “making do” when the economy and the government fails them. People falling back on their own resourcefulness. More stunning pictures in The Atlantic.